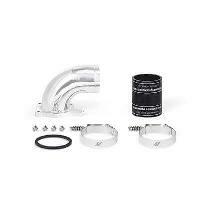 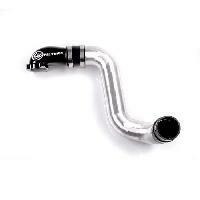 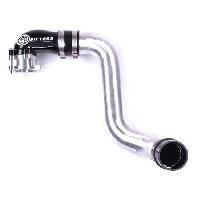 Intake horn manifolds will maximize air flow to the 6.0 Powerstroke engine for improved power and fuel economy. 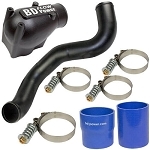 The intake elbow connects the intercooler to the engine. 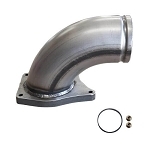 The OEM intake is restrictive and causes turbulent air into the engine. 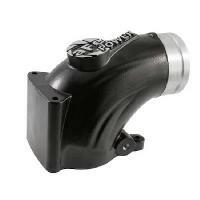 An intake manifold is another important part of getting air flow into the engine to optimize the power output. 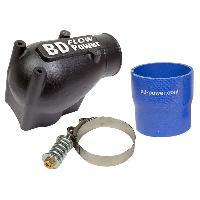 An intake manifold increases airflow and removes restrictions and turbulence associated with the stock manifold. 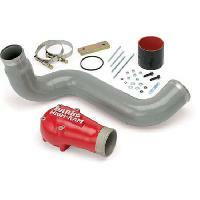 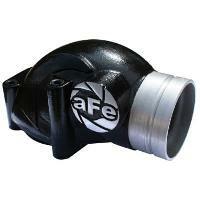 The intake elbows features an easy to install air flow upgrade.